These are some lessons created by the StatPREP leadership. The lessons are intended for use with students. Click on the picture of the lesson and then copy the website to give to your students. The websites are also listed under the the pictures. The Class Lessons allow the students to put commands into R.
This Class Lesson gives students a first look at a data set and how statistics is used to answer questions. The idea is to use this during the first few days of a statistics class to expose students to real data. 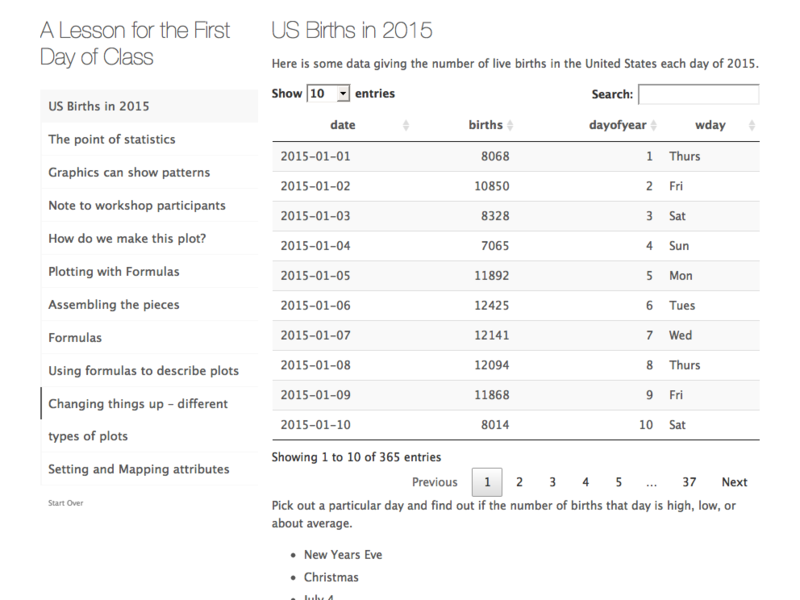 The data set is number of births every day for a particular year. Then the students look at graphs of the data and try to come up with trends the data may show. This is also the first exposure to R commands. The website for this lesson is https://dtkaplan.shinyapps.io/Lesson_first_day_births/. 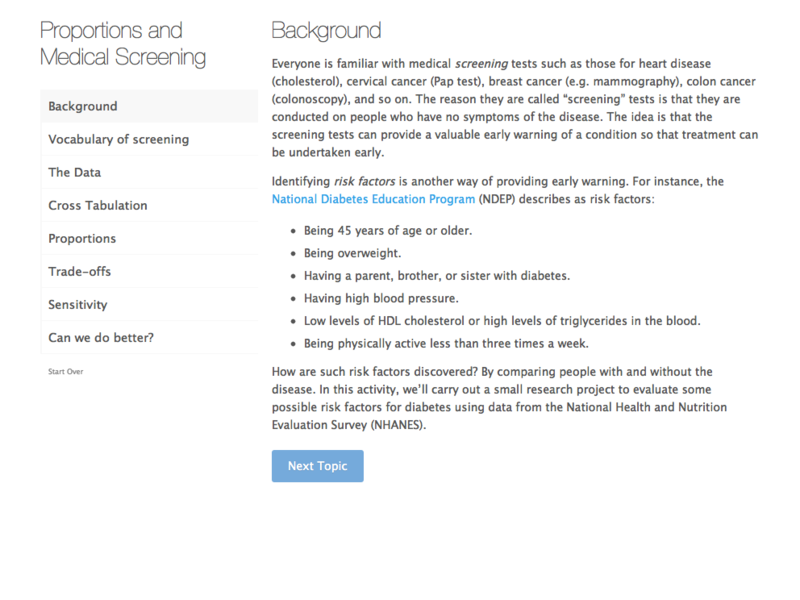 These two websites allow students to collect data in class, clean the data, and then analyze the data. The first website is the one to have the students use. The second website is one that can be used to collect the data if you don’t want to collect the data using a globe tossed around the room. The website for this lesson is https://dtkaplan.shinyapps.io/Tutorial_Globe_toss/. 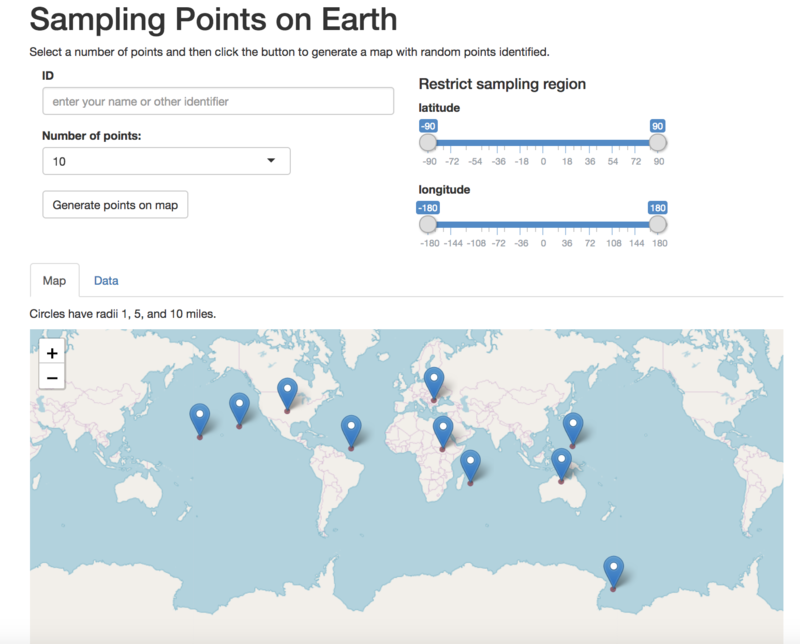 The website for the alternative way to collect the data is https://dtkaplan.shinyapps.io/Lesson_WorldSampling/. 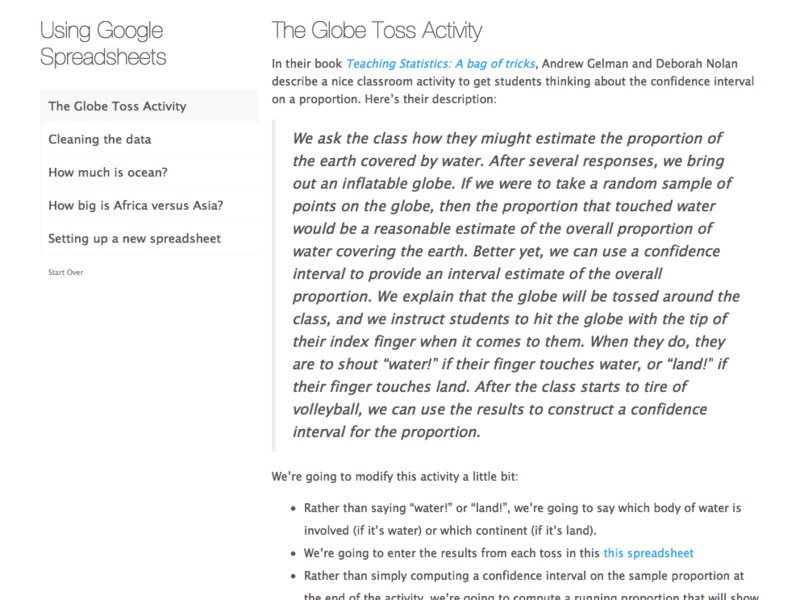 This is another lesson that allows students to collect data during class. 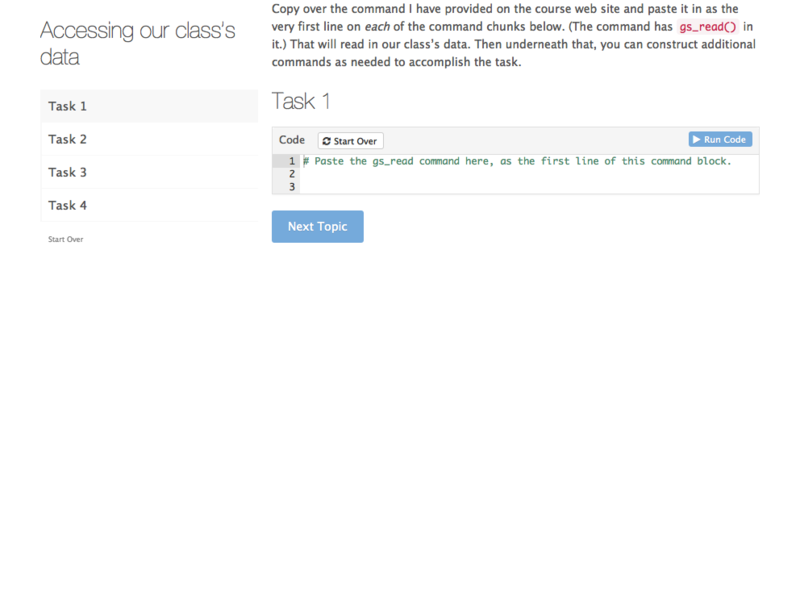 Then the lesson shows the R commands to analyze the data. 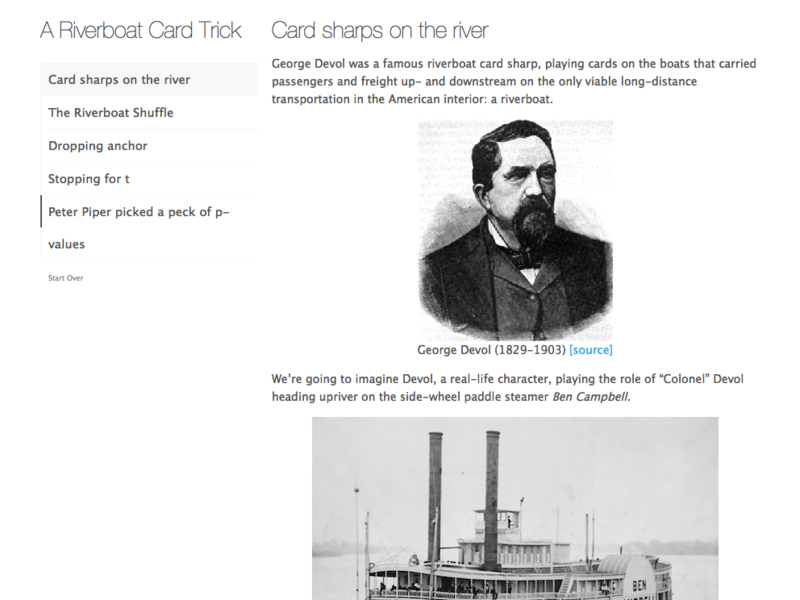 The website for this lesson is https://dtkaplan.shinyapps.io/Tutorial_Riverboat_shuffle/. This lesson is just showing how to access the data in a google sheet created by the class. The website for this lesson is https://dtkaplan.shinyapps.io/Lesson_read_class_data/. This class lesson allows students to again collect data from an experiment, and then find descriptive statistics, and create graphs of the data. It also allows students to start thinking in terms of comparing two variables. 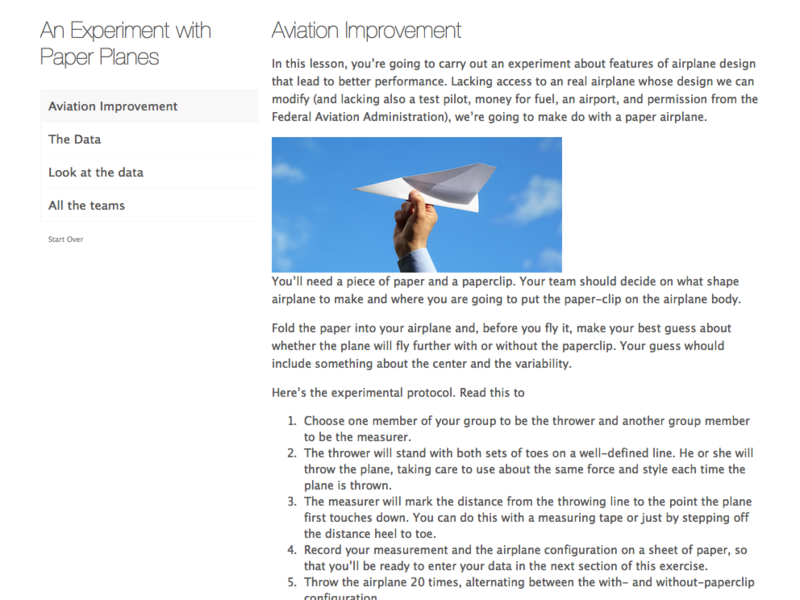 The website for this lesson is https://dtkaplan.shinyapps.io/Paper_planes/. 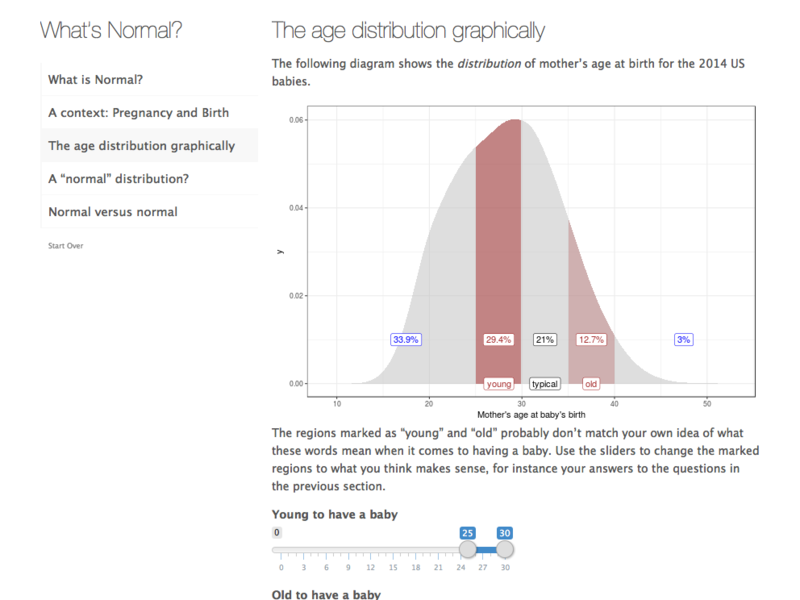 This class lesson introduces the idea of modeling of data using the normal distribution. They will also compare the Empirical Rule to the data set. The website for this lesson is https://dtkaplan.shinyapps.io/Whats_normal/. This class lesson helps students investigate conditional probabilities. The website for this lesson is https://dtkaplan.shinyapps.io/Diabetes/.